nerdy views: Aren't you a little short for a Stormtrooper? First Harrison Ford surprised people with a chance to see Star Wars: The Force Awakens and meet the cast. 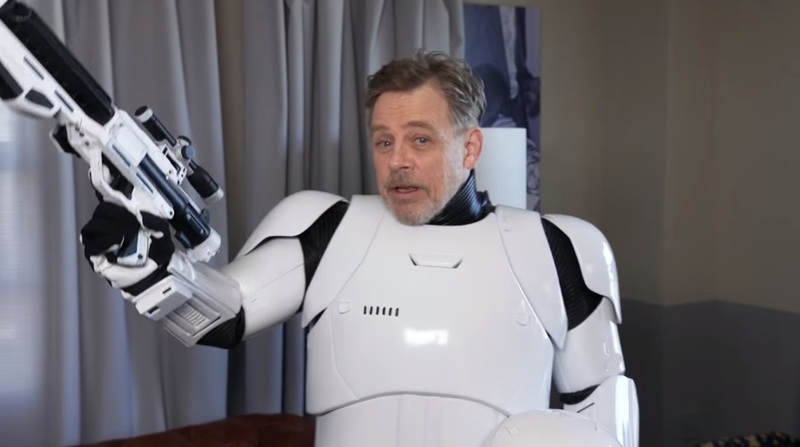 Now Mark Hamill is spreading the word about Star Wars: Force for Change dressed as a Stormtrooper. And it honestly shows you just how funny Mark Hamill can be. I kind of wish he took the helmet off and surprised people, but asking a cellphone vendor for power converters, confusing Iron Man for C-3PO, and an awkward encounter with Daddy Vader make the video entertaining enough as it is. And if you'd like to win a chance to see the premiere of Star Wars: The Force awakens and meet the cast, go to forceforchange.starwars.com and make a donation.